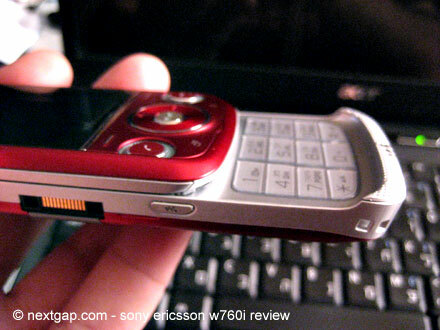 This is a review of my new cell phone, the handsome and smart w760i. It has a few nice features that make him a good buy. good mp3 player and video player/recorder. among the lowest in radiation levels – 0.53 W/kg SAR. very logical operation system and interface. navigational tools: Google maps, GPS, Tracker, etc. memory slot up to 4GB. comes with PC software for file management, backup, sync, etc. tracker – use it to measure your sport activity (includes GPS activated tachometer and speedometer, etc). Can also be used to measure general speed, even to test your car tachometer accuracy. You can save sessions too. 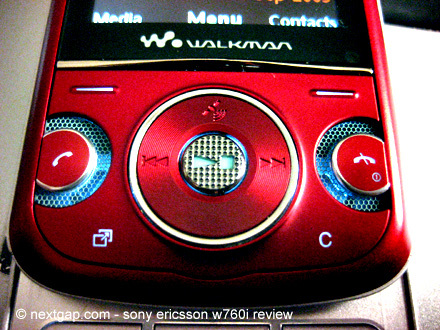 set caller groups with different ring tones, or attach a photo to a caller. 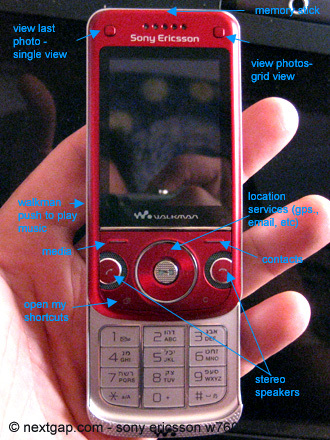 search for contact using the up and down, but also use the left and right keys to see more details for this contact , such as his E-mail, secondary phone, etc. Click Here to view the original of the above photo (1.5 MB, will open in a new window). Lots of options, but with simple and logical operation. When you're tierd of ear-phones, just turn the speakers on! 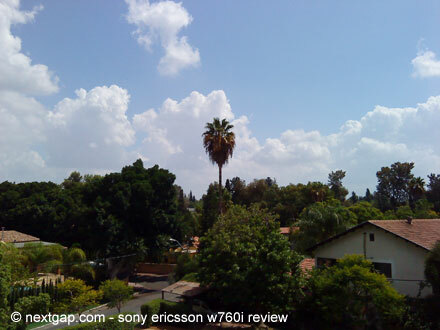 the w760i has one of the best stereo speakers. You can play your MP3's or listen to the radio or watch videos, with great sound quality.